Electric cars are very gradually eeking their way into the minds of car buyers. Vehicles like the Nissan Leaf offer zero exhaust emissions and extremely low running costs, thanks to a combination of government incentives and no fuel bills, in the conventional sense. They’re not without their issues though, with the biggest bugbear being range anxiety. 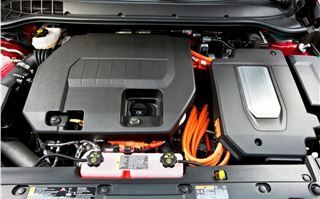 Most people rarely travel much further than 30 miles a day, but for business trips, visits to family or holidays, electric vehicles (EVs) are impractical. This means most will be partners to second cars, with a traditional petrol or diesel model filling the gap. 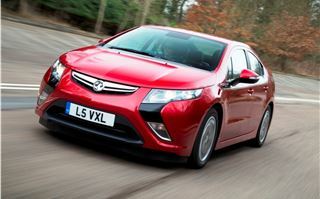 Vauxhall has different ideas though, thanks to its new Ampera. 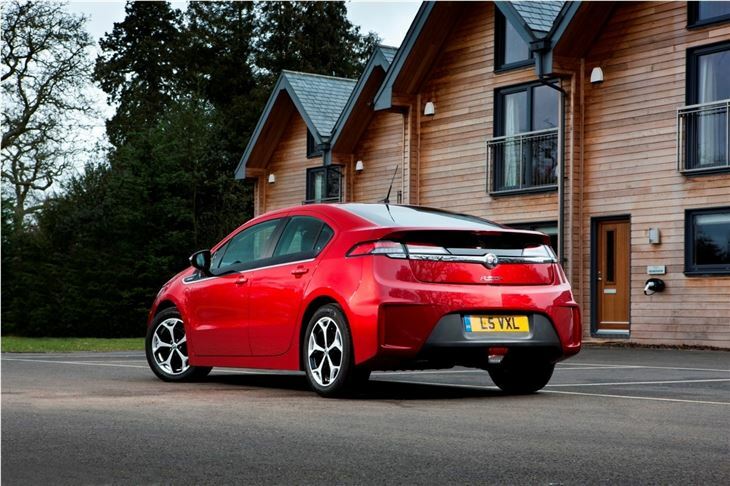 For the most part it’s a traditional EV – you plug it in to charge the batteries and then enjoy quiet, electric drive for up to 50 miles. 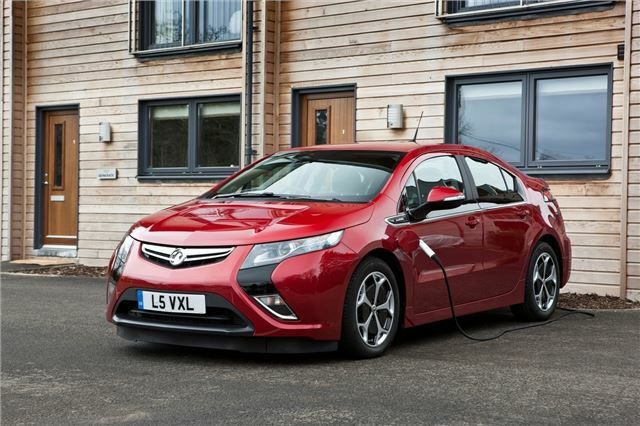 But after that the Ampera has a trick up its sleeve, because when the battery runs out a petrol engine takes over and generates power for the motor. So like a normal EV you can commute to work, drop off the children at school and make it home again on electricity, then plug in and charge up again for the next day. 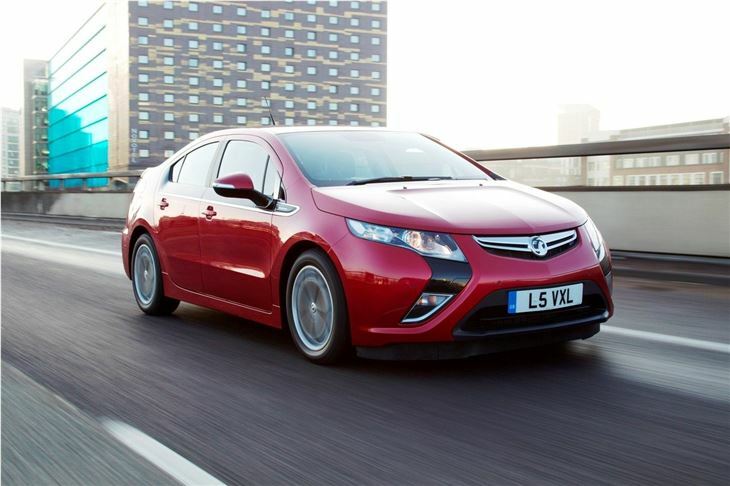 Where the Ampera comes into its own is where other EVs fall flat. 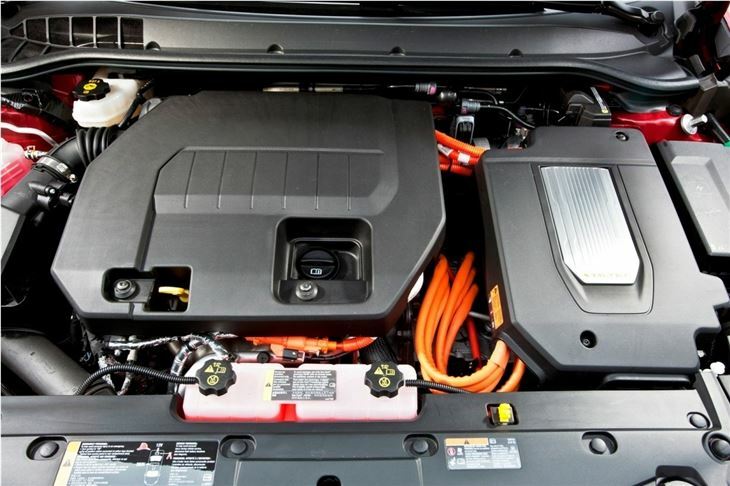 Because when the battery is depleted a 1.4-litre engine takes over the role of generator. It doesn’t charge the battery, nor does it directly power the wheels, rather it keeps the motor turning by generating just enough electricity. That means you can drive as far as you need, as long as you can find petrol, then charge when you get the chance. It takes six hours to charge fully from a mains supply, but a fast charger cuts that time significantly and can be installed at home. 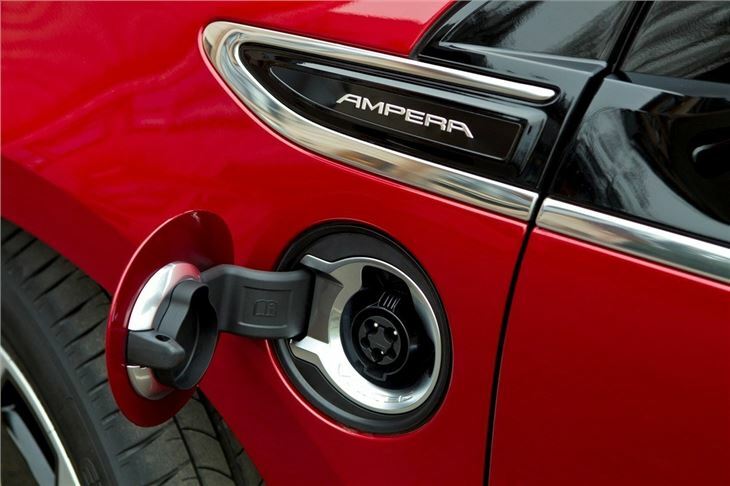 There’s no real change to the way in which the Ampera drives from one mode to the next. In EV mode it’s more or less silent, with a faint whir from the motor. If the engine needs to kick in it does so quietly, although its revs are related very little to the speed you’re travelling. The drive itself is pretty good, too. 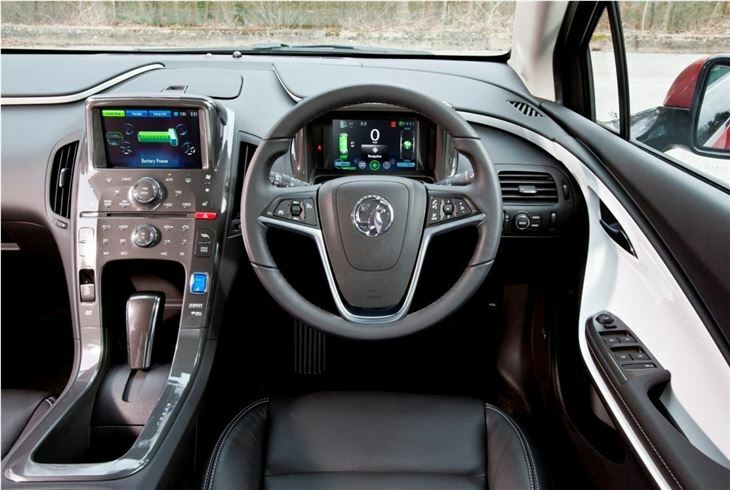 Anyone who has driven a traditional automatic car will feel right at home – select D, lift off the brake and the Ampera even ‘creeps’ like a normal auto. It’s responsive with all 370Nm of torque available from zero revs. 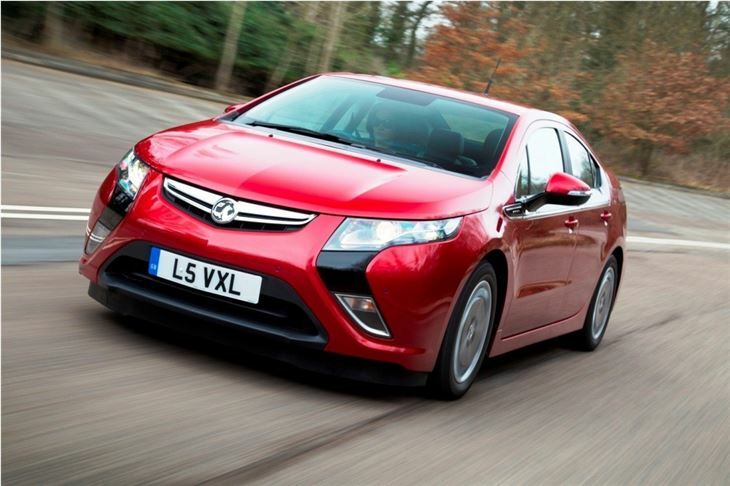 This means the Ampera can hit 62mph in 8.7 seconds, despite the heavy batteries. It feels fairly heavy but it's composed at speed, even over fairly rough surfaces, and it remains quiet with just the intrusion of road noise breaking the silence. Over broken or rough surfaces this road noise can be quite intrusive though. Even so, with no engine noise it's quite a surreal experience. Inside it’s suitably advanced. There’s a high definition screen where you’d expect to find the instrument binnacle, with a readout telling you how efficiently you’re driving as well as the speed and mileage. There’s also a second display at the top of the centre stack with sat nav, audio and a reversing camera. 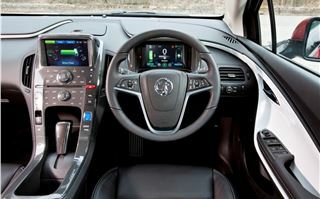 The materials inside are solid and the leather trim is impressively sumptuous, plus there are colourful door cards and touch sensitive controls on the centre stack. 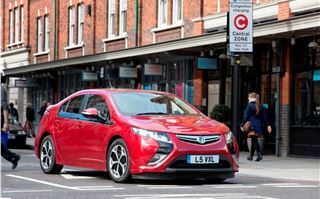 The Ampera is futuristic enough to impress but familiar enough not to be daunting, which is a balance Vauxhall must have worked hard to achieve. Practicality is more or less unaffected by the electric drivetrain components. 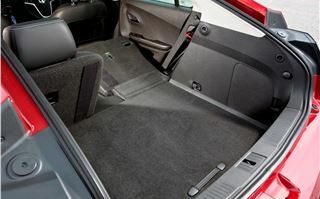 Many EVs have reduced boot space due to a large battery, but the Ampera offers a not-too-shabby 301 litres of bootspace. 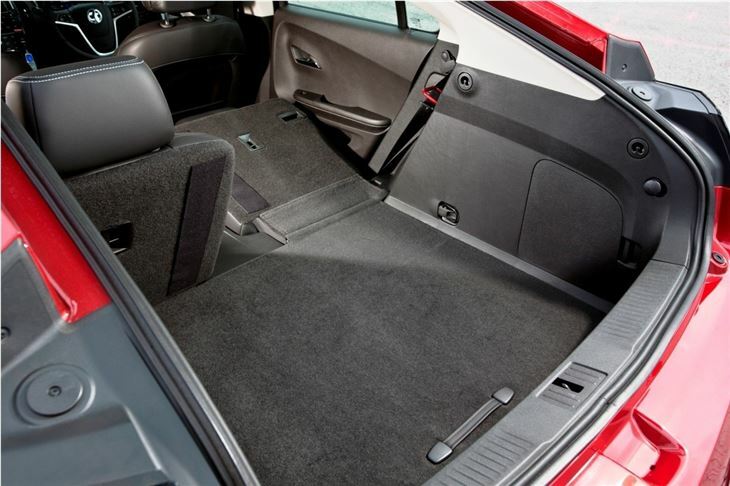 It’s not class leading but it’s more than enough for a decent amount of luggage or shopping. Furthermore there’s a comprehensive standard equipment list. 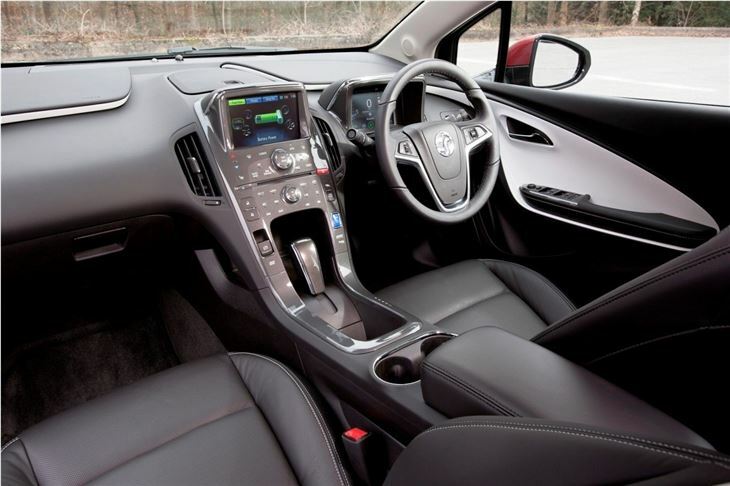 Our test car, in Electron trim, had heated seats, tyre pressure monitors, a reversing camera, BOSE audio, cabin pre-heating, keyless entry and start, climate control and cruise control. It’s not stripped out to improve economy, that’s for sure. 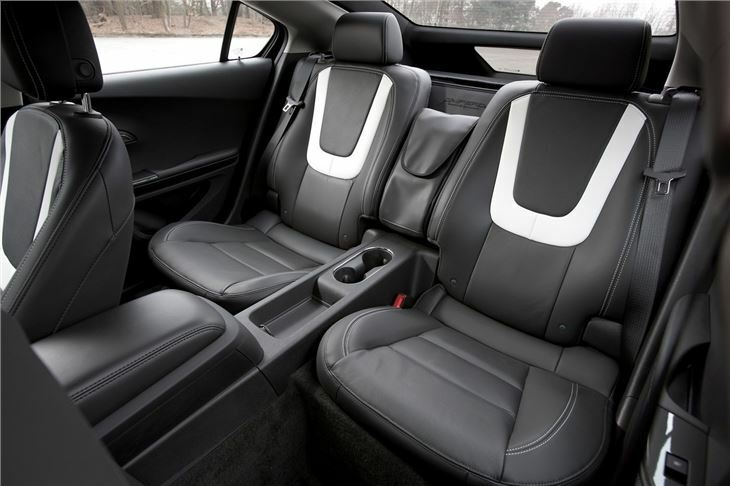 The benefits for company car drivers are impressive. 100 per cent first year capital allowance, 5 per cent BIK tax and reduced fuel bills paired with generous equipment and ‘green’ credentials could make the Ampera a compelling case for fleet managers. Unfortunately it’s not all good news. First of all there’s the price – it starts at a hefty £29,995, and that’s after the £5000 government discount offered for EVs. That’s more than the likes of the Nissan Leaf, although the Leaf has the problem of limited range. There’s also the problem of fuel economy when the petrol ‘generator’ is running – ours returned an acceptable but hardly impressive 39mpg when it was producing energy for the motor. That means if you’re planning on using it as a ‘normal’ car without charging it you’d be better off with a traditional petrol or diesel car. 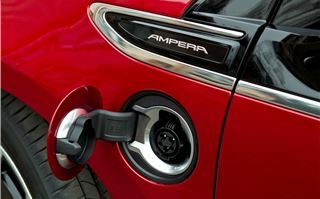 But if you tend to drive a fairly short distance day to day, have a place to charge it at home and need the option of an occasional long journey, the Ampera makes sense. 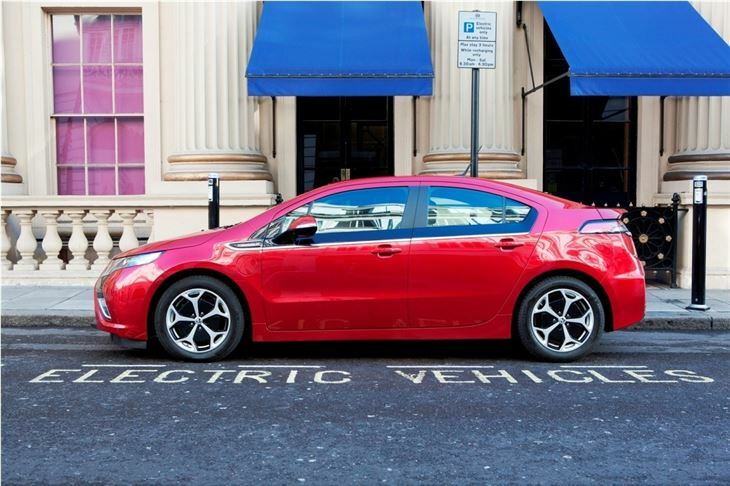 You get all of the advantages of an electric car without having to use a second car for longer journeys. For that, the Ampera deserves commendation. Second Opinion: Road Test and Video of LHD Vauxhall Ampera by Honest John.